Obituary – Kemnitz, Charles LeRoy « Perry High School Alumni Association, Inc.
Class President 47-48, D.E. Club 48-50. 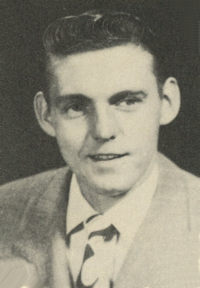 Funeral services for Charles LeRoy Kemnitz, age 77, of Perry, OK are scheduled for 10:00 a.m. Saturday, June 28, 2008 at the Christ Lutheran Church with Pastor William Metz officiating. Interment will be in the Grace Hill Cemetery. Mr. Kemnitz was born on January 17, 1931 to John and Katherine (Lau) Kemnitz in Oklahoma City, OK later moving to Perry, OK.
Charles married Laura Alice Kengle at the Christ Lutheran Church in Perry, OK on January 6, 1951. In March 20, 1951 Charles joined the United States Navy and served his country with pride for 4 years. His hobbies included reading, cars, trucks, listening to music and being a very hard worker. Charles owned and operated the Kemnitz Oil Company for over 50 years and the company is still owned by his family today. Charles Kemnitz went to be with his Lord and Savior Tuesday June 24, 2008 in Perry, Oklahoma. 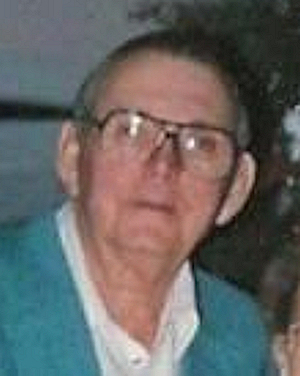 Mr. Kemnitz is survived by his loving wife Laura; two sons: Craig Kemnitz and wife Ruby of Perry, OK and Brent Kemnitz and wife Kelly of Wichita, KS; one brother: Edward Kemnitz and wife Anita of Colona, IL; three grandchildren: Lauren Adams of Wichita, KS and Mackenzie and Madison Kemnitz of Wichita, KS. Charles was preceded in death by his parents and his brother Jr. Kemnitz. The family requests that memorial contributions be made to Perry High School Baseball Team or the Christ Lutheran Church General Fund c/o Perry Funeral Home 203 E. Fir, Perry, OK 73077.